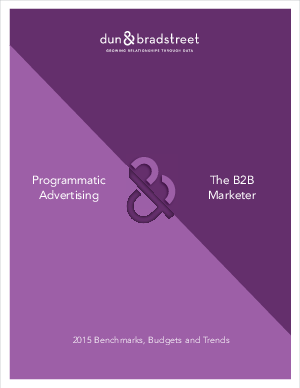 New Research Reveals How B2B Marketers Will Invest in Programmatic. Programmatic is one of the hottest buzzwords in advertising, and with good reason. We asked B2B marketers to share their opinions and plans for using this emerging strategy. Download our report and get ahead of the game today!